Recipe for Pulled Pork Barbecue from our Sandwiches recipe section. Take a break from the ordinary with this bold, deviled egg appetizer. Barbecue sauce is mixed in and it’s topped with turkey bacon. 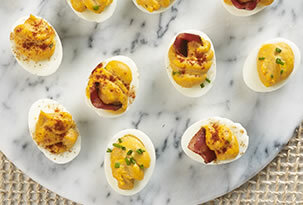 Recipe for Deviled Eggs with Bacon and Barbecue from our Appetizers recipe section. 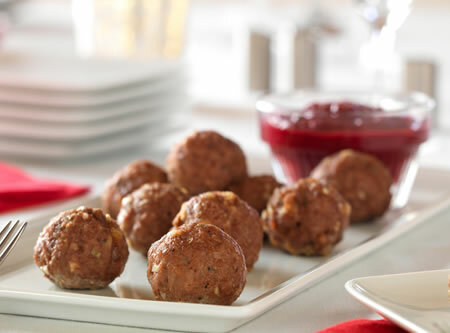 Use dip for Appetizer Meatballs. Also try as a final glaze for grilled pork, turkey or chicken. Recipe for Barbecue-Cranberry Dip from our Dips and Appetizers recipe section. Recipe for Barbecued Lima Beans from our Side Dishes recipe section. An easy way to marinate your pork chops. Chops are best prepared by grilling directly over the coals. Serve with sliced tomatoes in a vinaigrette, broccoli spears and garlic mashed cauliflower. Recipe for Simply Grilled Pork Chops from our Main Course recipe section. 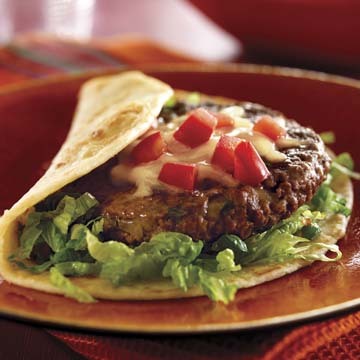 Recipe for Mexican Fiesta Burgers Con Queso from our Sandwiches recipe section. Recipe for Minted Lamb Kebabs from our Main Dish recipe section. 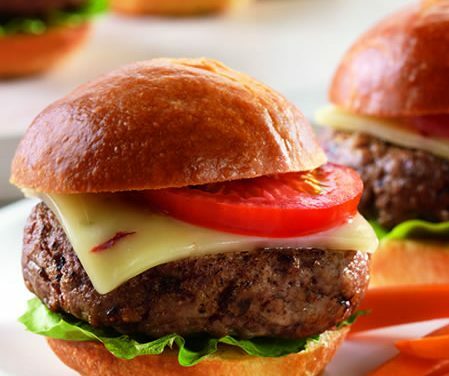 Lean ground beef mini-burgers, or sliders, are kicked up with chipotle chili and topped with spicy pepper jack cheese. Recipe for Chipotle Pepper Jack Sliders from our Sandwiches recipe section. Here’s a healthier version of a classic burger topped with grilled onions and all the fixings. 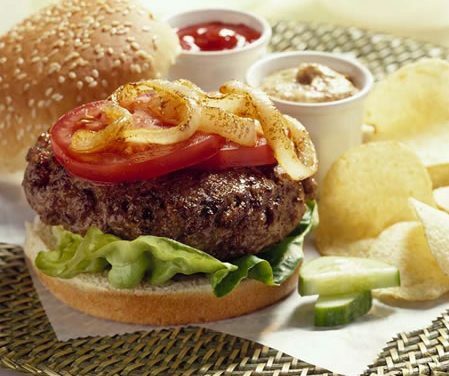 Recipe for Grilled Onion Burger from our Sandwiches recipe section. Recipe for Tikka Kebabs from our Food and Dining recipe section. Outdoor grilling is a family affair and these flavorful, rubbed chops add extra kick to the meal. Recipe for Jamaican Rubbed Chops from our recipe section. Recipe for Teriyaki Turkey Burgers from our Main Course recipe section. Recipe for Grilled Mesquite Pork Chops from our Main Course recipe section.